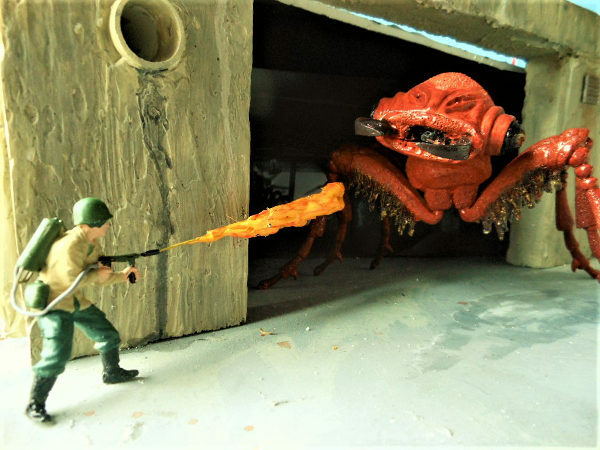 Geof Lucier has won 2 awards for His "Them: Drain 267" diorama"
at the Rhode Island Modeler's Association. Award for Most Imaginative Entry. for the ants, gun fire(with lights) and screaming. from the 1950's film "THEM".